Shot back in 2005, Margaret has had a very long and eventful post production life. From court cases to constant re-editing, the film has finally made its way to our screens in a 2 and a half hour cut, that whilst not the director's preferred version, certainly whets the appetite for his upcoming extended DVD & Blu-ray editions. 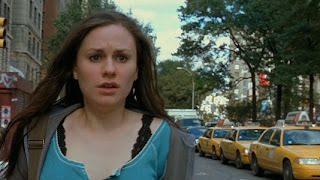 Anna Paquin plays Lisa, a bright, capable 17 year old high school girl living in New York with her stage acting Mother (J. Smith-Cameron) and younger Brother. On her way home from school she inadvertently sets in motion a chain of events that results in a traffic accident leading to the death of a passerby. 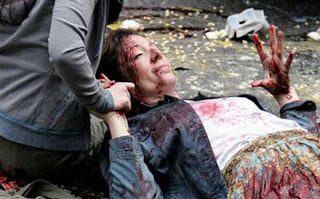 As she comes to grip with her part in the incident we see her try and make amends for her actions, only to be met with opposition at every turn. As she gets more and more frustrated she begins to alienate those around her and seek comfort from those whom she respects. Margaret is a powerful, honest, considered and in some ways brutal film, the performances from all of the cast are incredible, but Anna Paquin and J. Smith-Cameron are especially good as the bond between Mother and Daughter breaks down on an almost nuclear scale. The dialogue is witty and believable and as the story progresses from one thing to the next you are fascinated to know where things are going to go and how it is going to end up for all concerned. Sadly, it is also this disjointedness that is the films undoing. With a lack of coherent direction and flitting and seemingly insignificant scenes the film clearly either needs its extra 1/2 hour of pacing to breathe or connect some of these scenes, that or it could have done with a little more spit and polish in the editing. 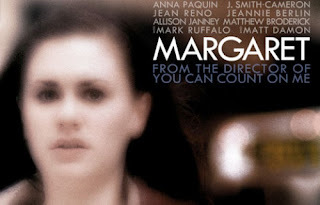 On the whole Margaret is an amazing dramatic and truly brilliant piece of work and despite some flaws it is most definitely going to make it on my best films of the year list. I will also be first in line to purchase the extended edition Blu-ray upon its release next week in the U.S!